Home » Business & Economy » Venezuelan opposition is controlling government: What does this mean for Belize? On December 6th, Venezuela’s Opposition Democratic Alliance won an overwhelming mid-term congressional victory during the country’s elections. This victory gave the opposition party about two-thirds control in Venezuela’s National Assembly. The opposition claimed the majority of the 167 seats in the National Assembly which would allow them to free political prisoners, enact basic laws, and approve the budget and government debt. 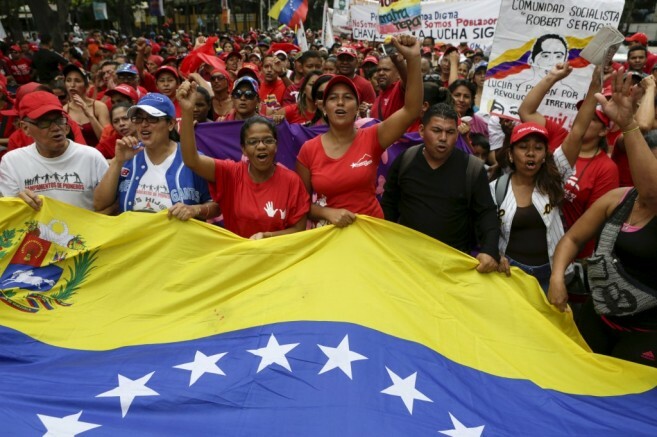 The results are a major blow to current president Nicolas Maduro of the ruling Socialist Party, which has been in power for the past 16 years when the late president Hugo Chavez brought it to power. The big question concerning Belizeans is, what does this mean for Belize and the future of the PetroCaribe Loan Program? Belize has been dependent on PetroCaribe funds for the last few years, and with the change in Venezuela’s government Belize’s Barrow’s administration could experience some changes. According to Venezuela’s Ambassador to Belize, His Excellency Yoel del Valle Perez Mercano, if the opposition takes over the Venezuelan government, it will not only affect his country’s congress, but also the political relationships with its brothers in the Caribbean, and the PetroCaribe Program. “The first thing that a government that wants to do a coup attempt is to eliminate the decisions on international cooperation agreements that have been signed by President Nicolas Maduro, and the most affected would be Petrocaribe. And I would ask you, would that have a consequence on Belize and the rest of the Caribbean? Definitely yes. We say that with humility. With the eighteen countries of Petrocaribe, the possibility of the petroleum minister, on the condition of payment of one percent for twenty years that forms part of the agreement, it would affect the economy of this country,” said Mercano. Even though two-thirds may not sound like much, according to Mercano it is crucial, since this will give the opposition the ability to call a constituent assembly to write a new constitution and propose constitutional reforms via a referendum. These movements could threaten President Maduro’s hold on power. Venzuela is considered an rich country in oil, however it is ravaged by inflation above 200%, rampant food shortages, low prices in oil that have left the country broke and unable to import basics like medicine and car parts, to mention a few. According to economists, it will take a series of changes such as overhauling a cumbersome and inefficient foreign-exchange system, and cutting generous social programs on which many of the poor depend. Belize is set to begin payments of the over $500 million PetroCaribe loan to Venezuela in 2016, this brings an end to the two-year grace period granted to Belize upon signing the agreement with Venezuela in 2012. According to the National Trade Union Congress of Belize, during a meeting with Prime Minister Barrow, he mentioned to them that his government did not have a plan to repay the loan. At the time of the meeting, Barrow said that they had sufficient time to do so. However, they believe that considering Venezuela’s dire economic state, a plan should have been put in place long time ago. Belize is already heavily indebted to other countries and financial institutions, and the PetroCaribe Loan is one more on the list. The economic outlook based on assessments from numerous credit rating agencies and economic experts have given Belize a desolate economic prognosis. What will happen to the PetroCaribe Loan Motion? Only time will tell what measures the government is going to take to ensure they meet the debt obligations. Forty percent of the loan must be covered at the end of the first part of the payments. The new Venezuelan government that takes over on January 5th now has the task of fixing what the International Monetary Fund considers the world’s worst-performing economy. The National Agriculture & Trade Show 2013 – a success!